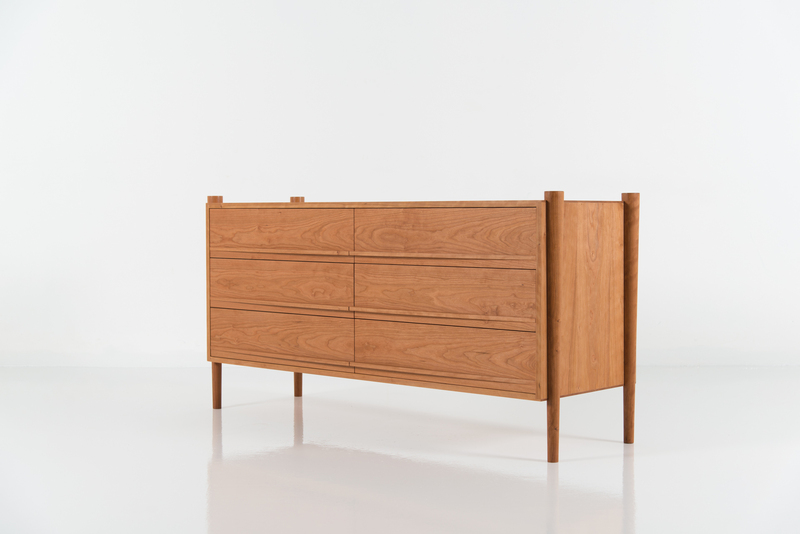 From its tapered legs and exposed end grain to its elliptical drawer pulls, the Ellipse Six Drawer Horizontal Dresser is confident in its simplicity. 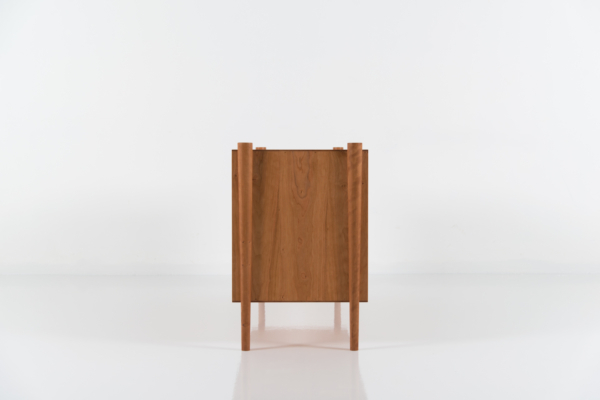 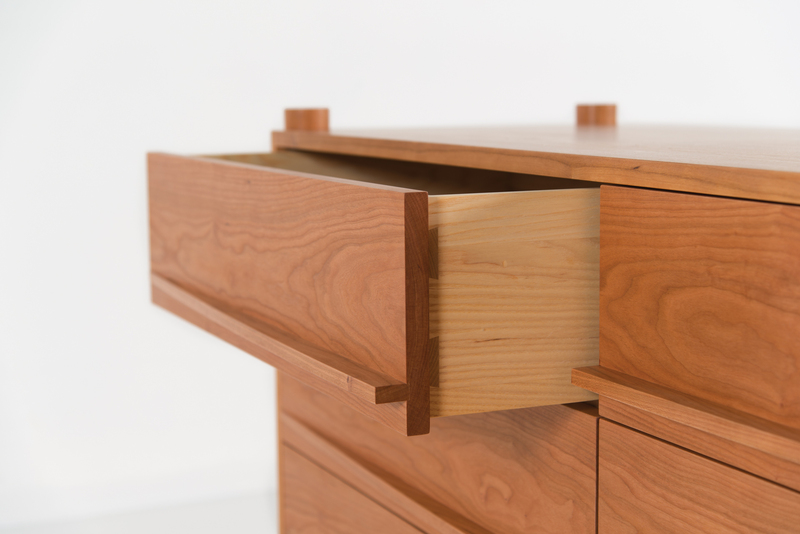 Resting gracefully above the floor, the six-drawer cabinet is mortise-and-tenon joined to each integral leg as it rises through – and slightly beyond – the top. Each element of the dresser is made of hand-finished North American hardwood, with front, side and top surfaces finished to reveal its dense grain structure. The Ellipse Six Drawer Horizontal Dresser recalls the design philosophies of the post-WWII period when resources were scarce and innovation was a necessity. Like the entire Ellipse Collection, the dresser demonstrates the beauty of useful forms, from simple turned legs to uninterrupted surfaces. 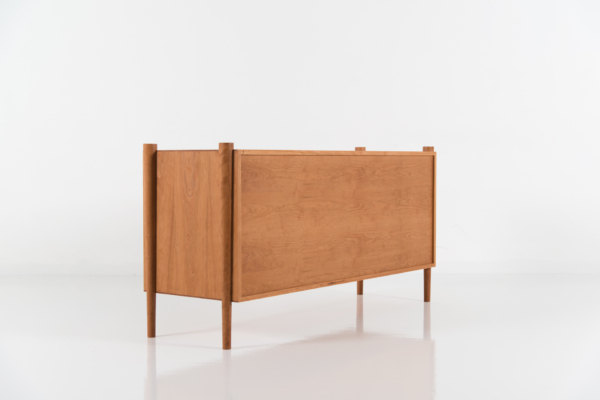 The Ellipse Six Drawer Horizontal Dresser is elevated on four legs rest at extremes, and are connected to the cabinet through the use of traditional joinery. 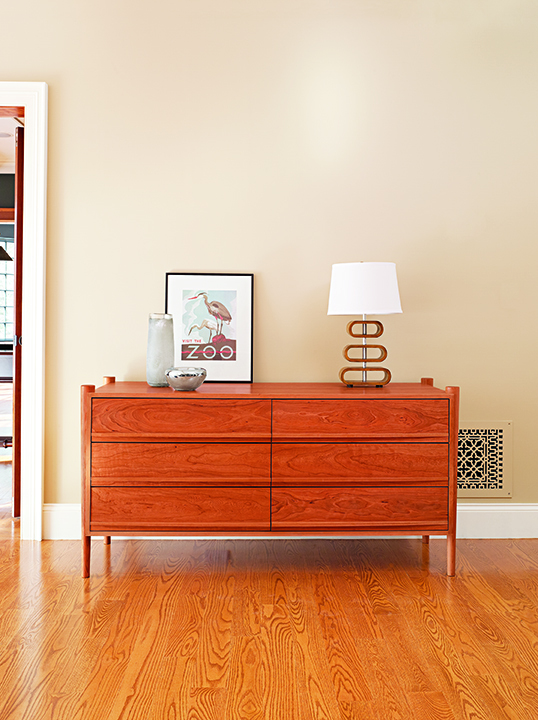 The legs pass through the sideboard and extend above the tabletop for added visual impact. 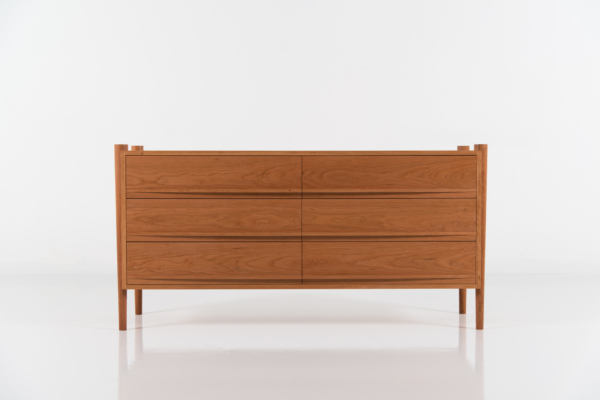 The six drawers of the dresser rest nearly flush with the cabinet frame and open with an easy pull on elliptical handles that span their full width. 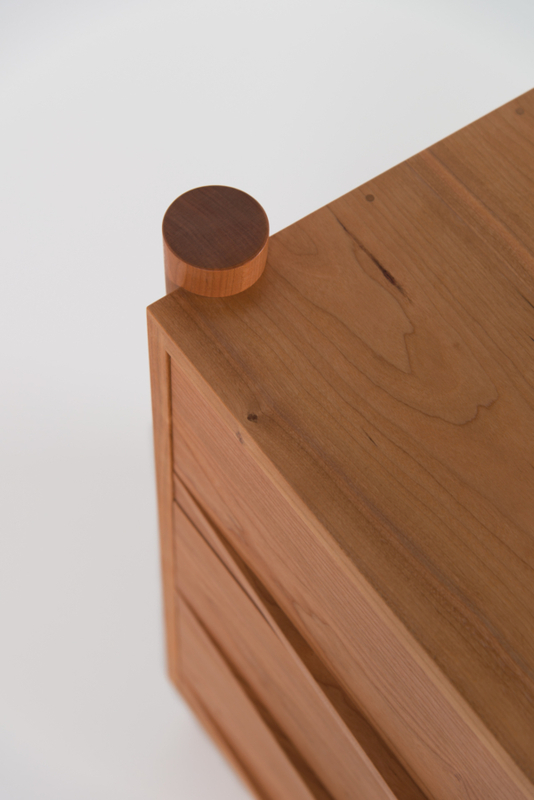 Drawer slides are crafted of polished hardwood and perform for the life of the piece.